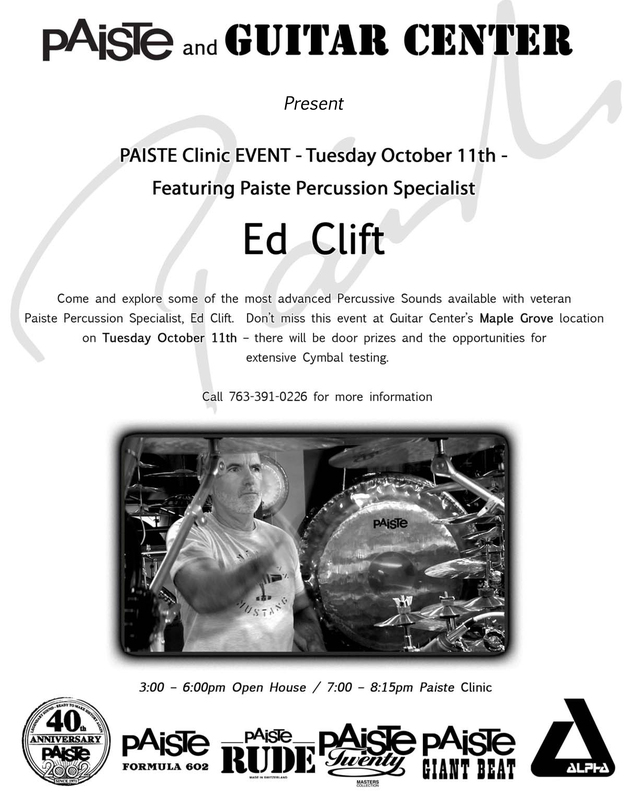 You are currently browsing the category archive for the ‘Paiste Cymbals’ category. 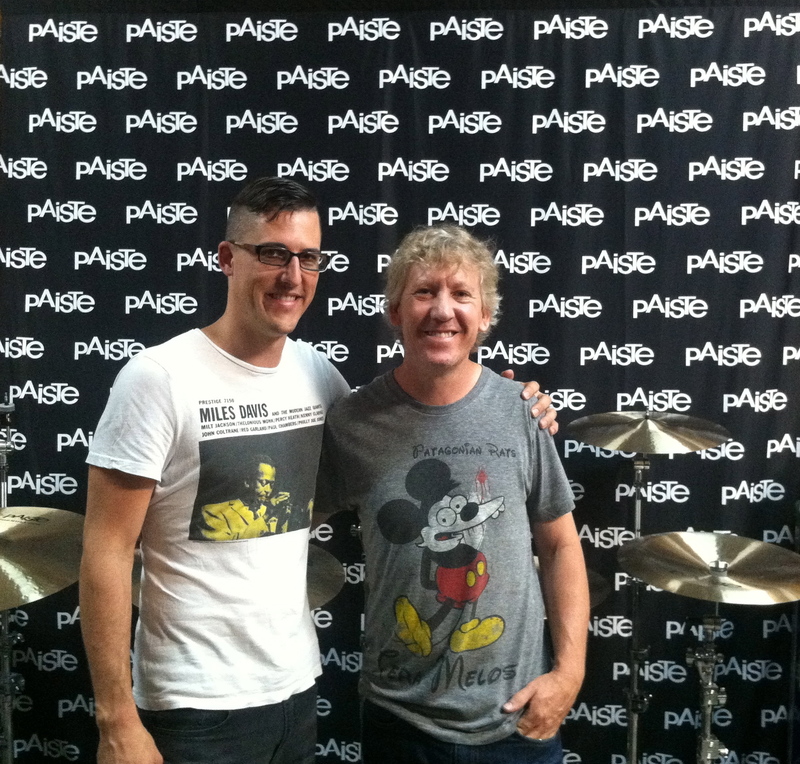 A couple months ago the Sara B tour had a day off in the Los Angeles area, and my drum tech Kris and I were able to take a trip to the Paiste North America offices. Their space has been located in a suburb called Brea for the past 32 years – the same warehouse and office the entire time. 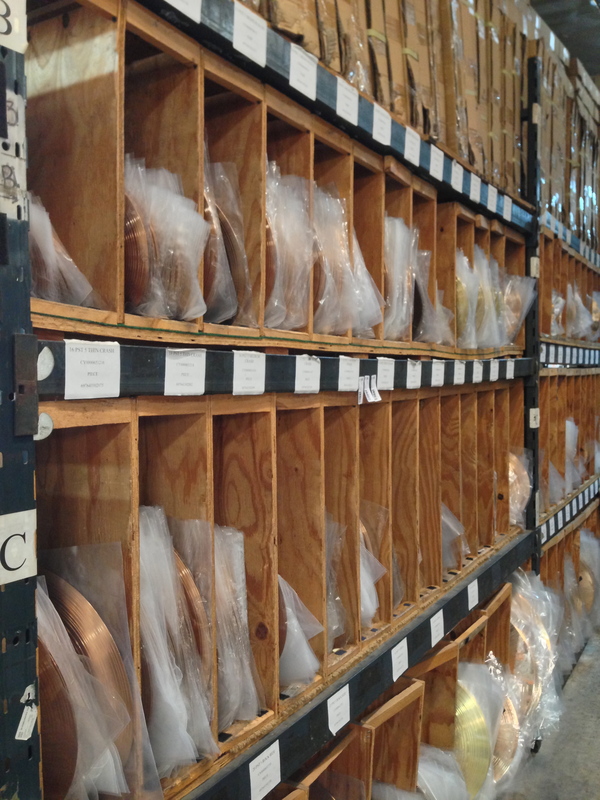 It’s smaller than you might expect, but wow are there a lot of cymbals. 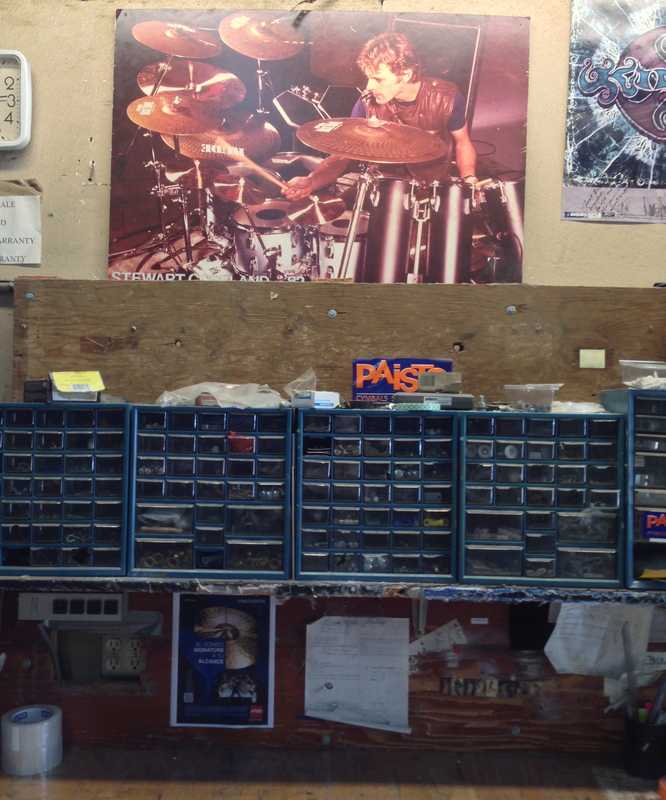 The warehouse workbench… still the same since the 80’s when that vintage Stewart Copland poster wasn’t vintage. Dozens of rows like this. Cymbal heaven. My favorite part of the trip was sitting at the kit that they have in the warehouse while Andrew (the primary artist relations rep) pulled any cymbal off the shelf that I wanted to check out. 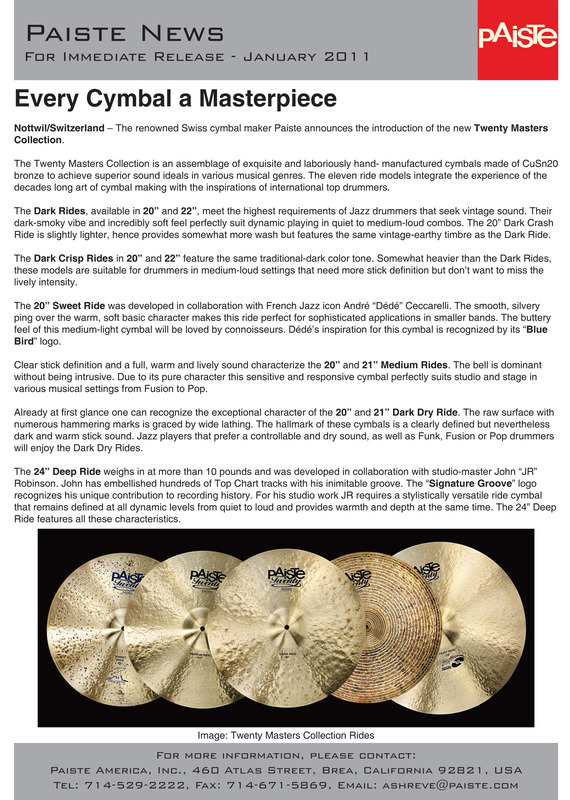 24″ Masters Deep Ride, 22″ Masters Dark Ride, any and all 602’s, Traditionals, Signatures… everything. I played on models that I’d never even seen in person for almost 2 hours. 22″ Masters Dark ride and some 15″ Modern Essentials 602 hats. 24″ ride attack. Near to far: 24″ Masters Deep ride, 24″ 2002 Rev Al ride, 24″ 602 Medium ride. Me and Andrew. Whose shirt is cooler? 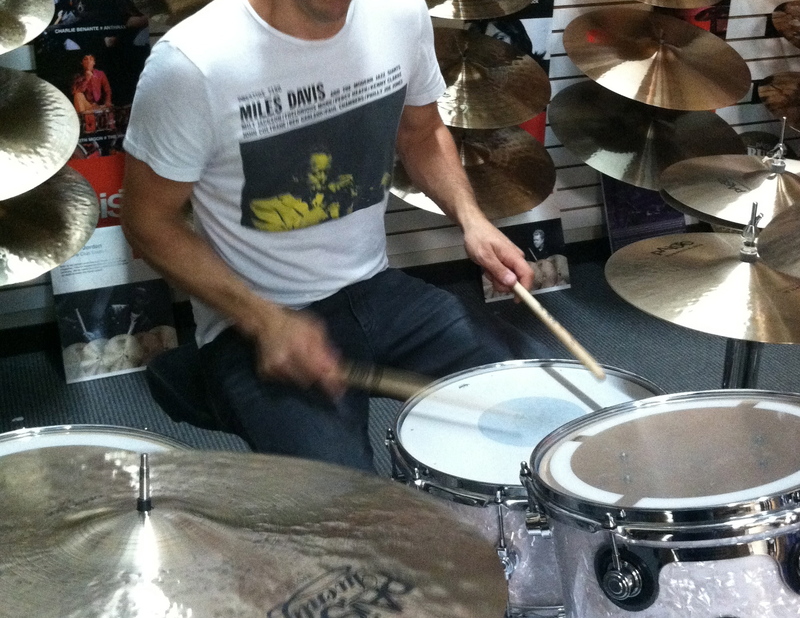 The cymbal demo jam session focused most on the new 602 Modern Essentials line. The only models from that line that I’ve heard are the two I own: the 16″ crash (which I use as a hihat top) and the 22″ ride. I was able to play every cymbal in the series. 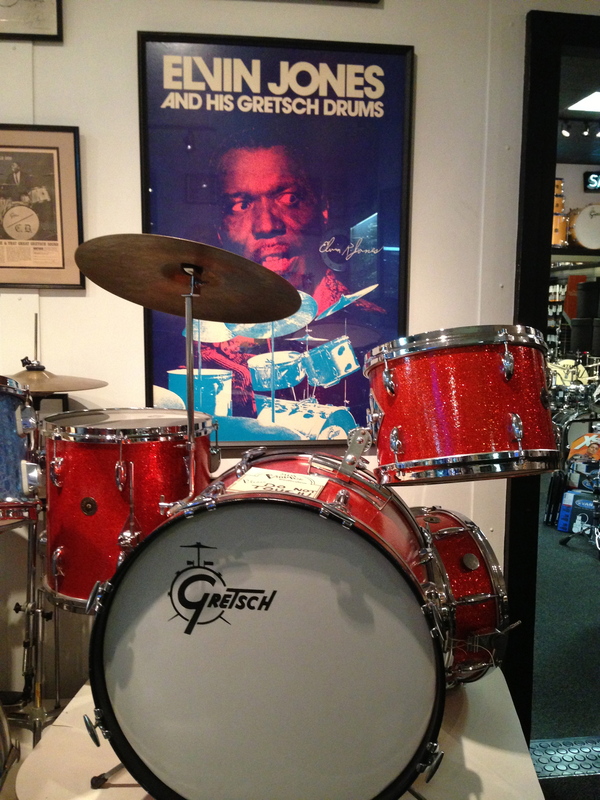 The 18″ crash is great… the 20″ crash is AMAZING. The 20″ ride was ok but not as cool as the 22″ that I have, so I’m glad I chose the one I did. 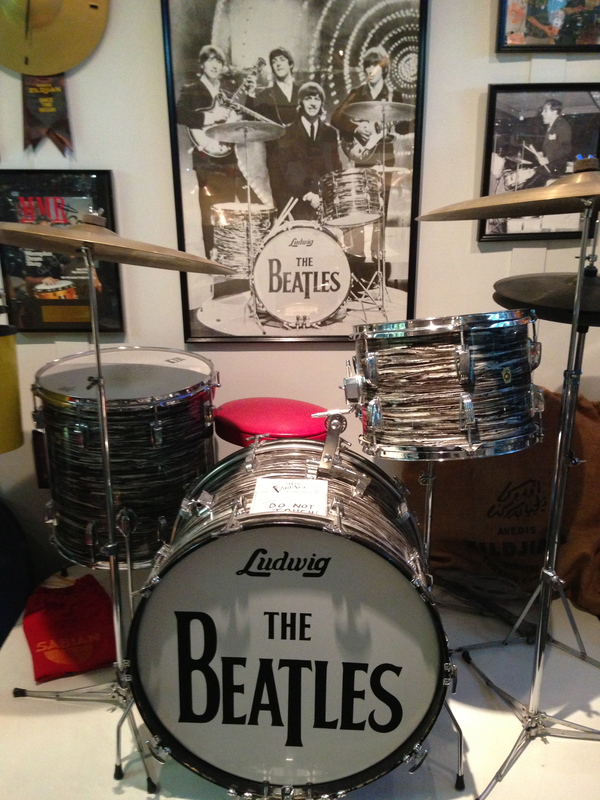 Both 14″ and 15″ hats sound fantastic and are very versatile, but I would probably choose the 15’s to purchase someday. The incredible new 602 Modern Essentials line. 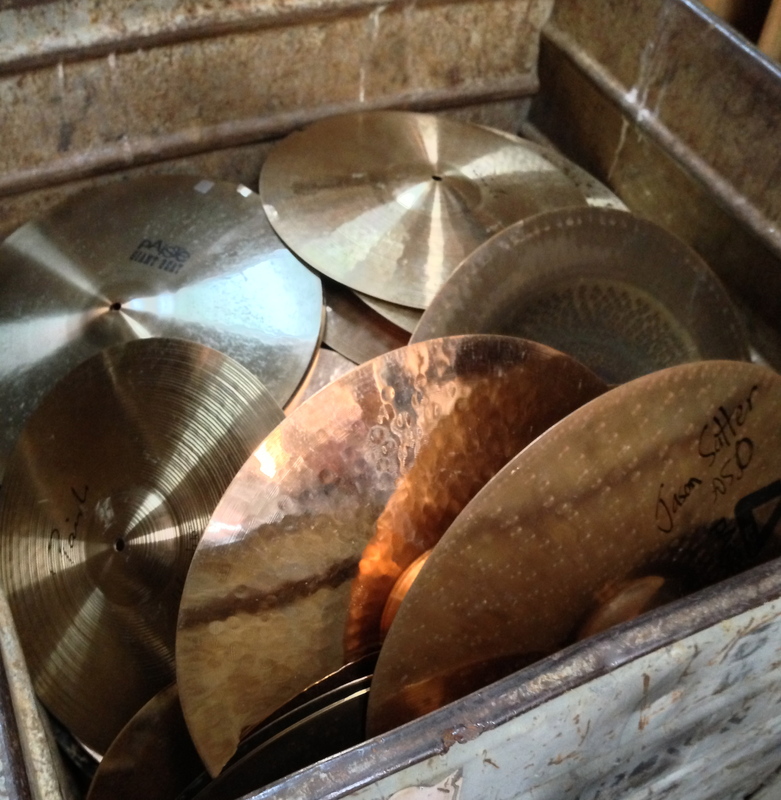 We also got to see the warranty-return bin – literally hundreds of cracked cymbals just sitting in a pile that will soon be shipped back to Switzerland to be melted down and recast. Fallen soldiers. 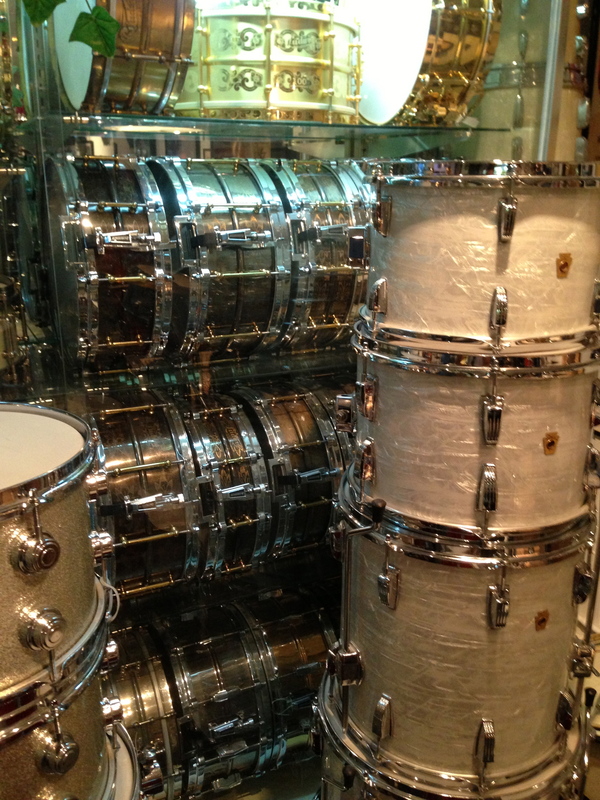 Marilyn Manson drummer Jason Sutter owned the front right one. Basically it was the best tour day off ever. 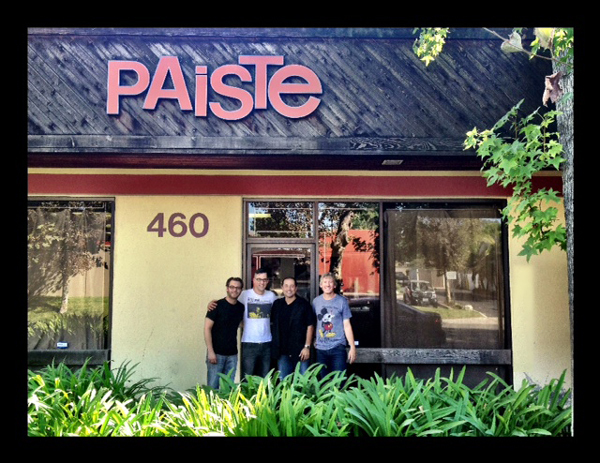 Huge thanks to Paiste for everything they do for me, and for making such great sounding cymbals. My backline tech with Sara is a dude named Kris Mazzarisi, a great drummer in his own right and a killing tech. A week ago in St Louis he set up a GoPro on the overhead mic stand combined with a line out from my ear pack and out came the footage below. This kind of thing is super narcissistic, but I know a lot of people enjoy it. And I assume if you’re bothering to click on the link (let alone read my blog) then you might enjoy it also. I watched some drumcam vids from Lester Estelle a few weeks ago that blew my mind. Go check those out when you’re done here. 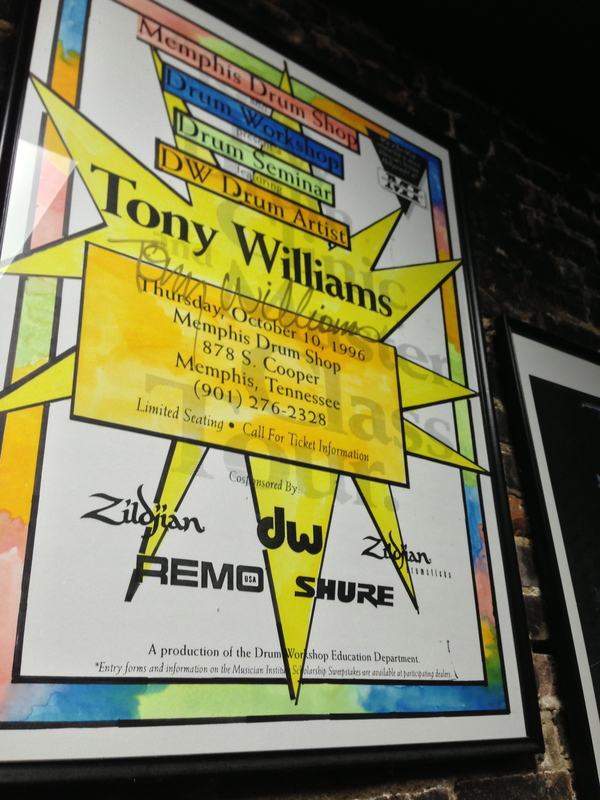 – This is the first tune of the show, and I included the show intro… because I made it. I took the piano/strings/perc stems from the album version of the song we’re playing and cut them up to create layers of energy while we enter the stage. That was a fun thing to do, and it was even more fun to hear a track I made echo through the cool venues that we’ve been playing. – I’m in charge of all the tracks in Sara’s show (which I why I have the stems) and so I dictate the specifics regarding click track and count-ins and what not. That’s my daughter Suzy counting in the first verse of the tune. She does all the count-ins because she’s my daughter and I’m in charge. Ha. Also, the click doesn’t have any accent to it because I’ve always preferred to hear every note of the measure equally, and I don’t need the click to tell me where beat “1” is. – The mix is a direct copy of my in-ear feed (with a little bit of crowd mic during the intro), which is why the drums and click are so hot. Chris Morrissey, Sara’s Bassist, is straight down the middle of the mix, but his vocal is panned hard left. I don’t know why it’s so loud – I’ve never really noticed that before making this video. I should do something about that. Sara’s piano and vocal are also straight down the middle but not as loud, and that’s partly because they come through so much in the house mains. Also panned hard left is Misty Boyce on keys, but her vocal is panned hard right, as well as guitarist Rich Hinman. Our two cellos are panned right and left, Cara Fox and Claire Indie respectively. In addition to all of this are some minimal tracks: a light tambourine loop that comes in and out, some string reinforcements, and a few big floor tom and clap hits. – Yes, I’m wearing a bow tie. – The snare is my 5×14 Canopus ash shell cranked pretty tight, but the key ingredient to the tone is the goat toenails, which hang from the rack tom hoop via a magnet. That way they stay in their place on the far side of the drum head while still sitting there and muffling the way they’re supposed to. My tech Kris thought of that. He’s smart. 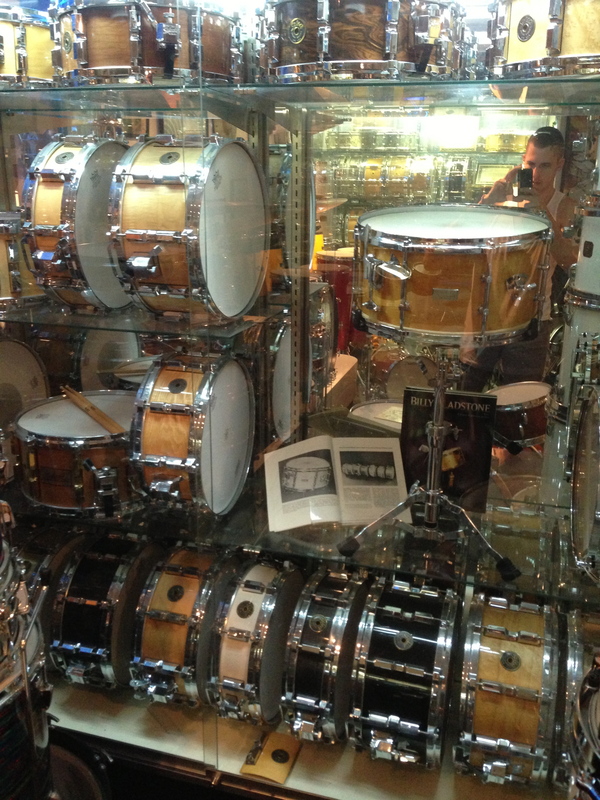 When the tune is over I just pull the magnet off the rack tom and stick it to the hihat stand until I need it again. Genius. – The album version of the song doesn’t have any crash cymbals but rather uses some metal pieces falling to the ground as a “trashy” sample. That’s why I use the ride stack above my hihats, which is a 22″ Traditional light ride with a 21″ Dark Energy mk1 ride on top of it. Stacking cymbals is a big fad right now so it’s cool to have a reason to do it, but Sara’s music definitely provides a REAL reason to use stacked cymbals, instead of just doing the trendy thing for trend’s sake. The other cymbals in the rig are explained here. – At the very end of the video you can see Kris helping me with a snare change going into the next tune (my RD 7×14 walnut stave). I start the click right away so Sara can dive into the piano part whenever she wants to. That song doesn’t use tracks so there isn’t a count off to worry about. – That 22″ ride… I must have it. 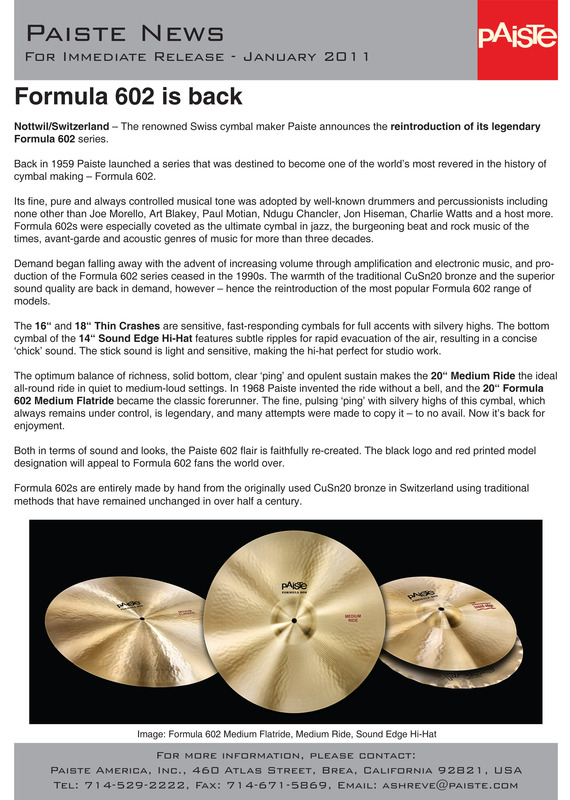 – The story at the end about how they named the cymbals… so lame. 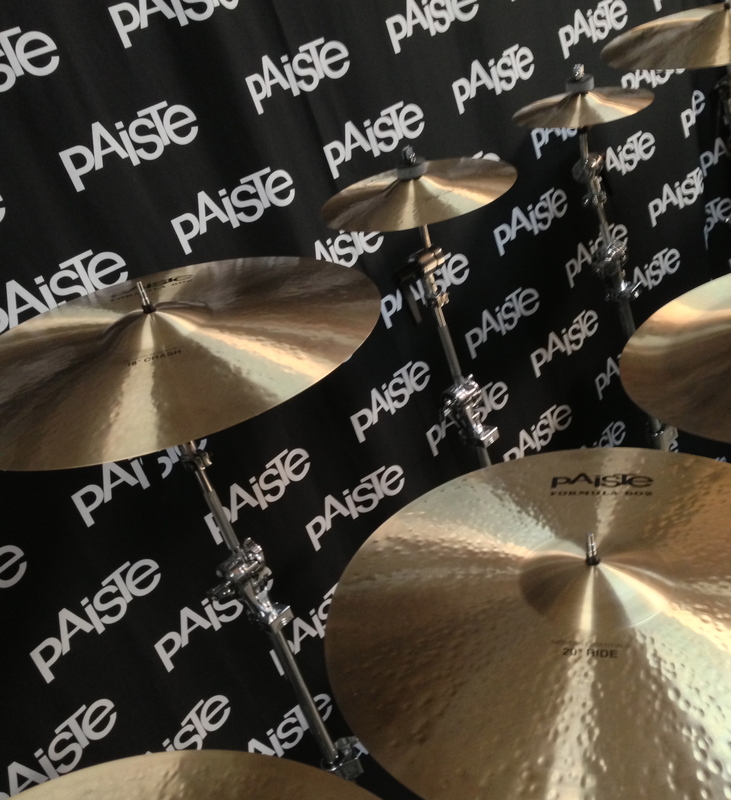 Paiste’s Formula 602 series cymbals have been long sought-after by vintage cymbal collector’s and cymbalholics. The older models have a brighter sound than I usually prefer, but the ones I’ve heard are still super cool sounding. 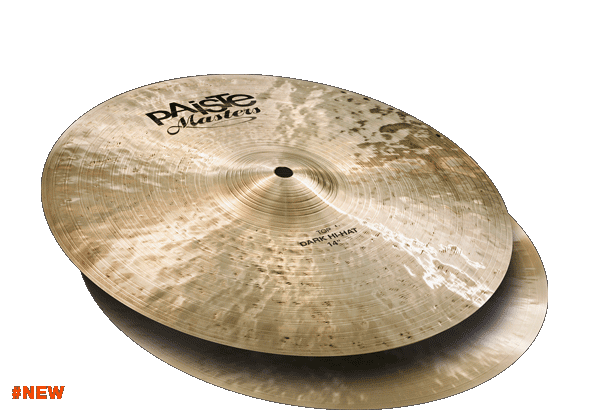 A few years back Paiste began reissuing these cymbals, and even expanded the line to include a 20″ crash and a 24″ ride. This seemed interesting to me and I started to figure out how I could perhaps sell some gear and order a few of them. 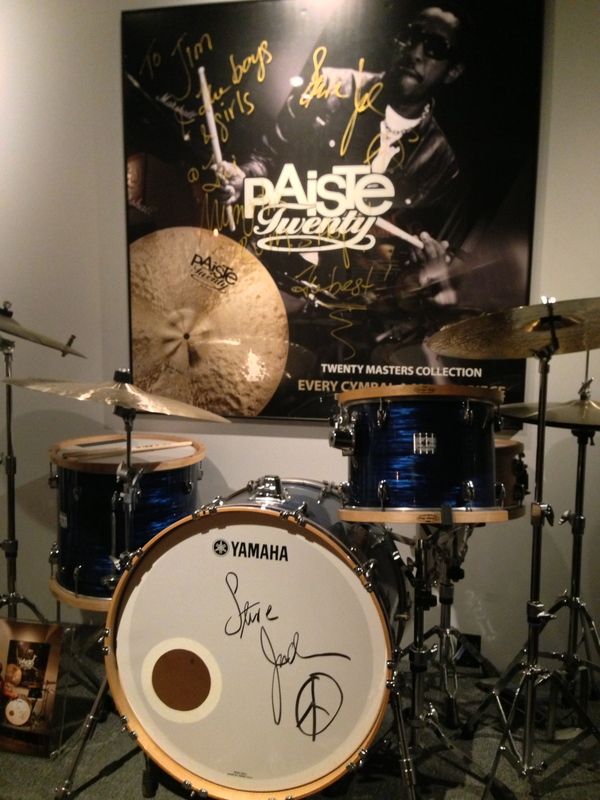 But now… now Paiste has me totally backed into a corner with their new Modern 602 Essentials line. I simply MUST get some of these and soon. 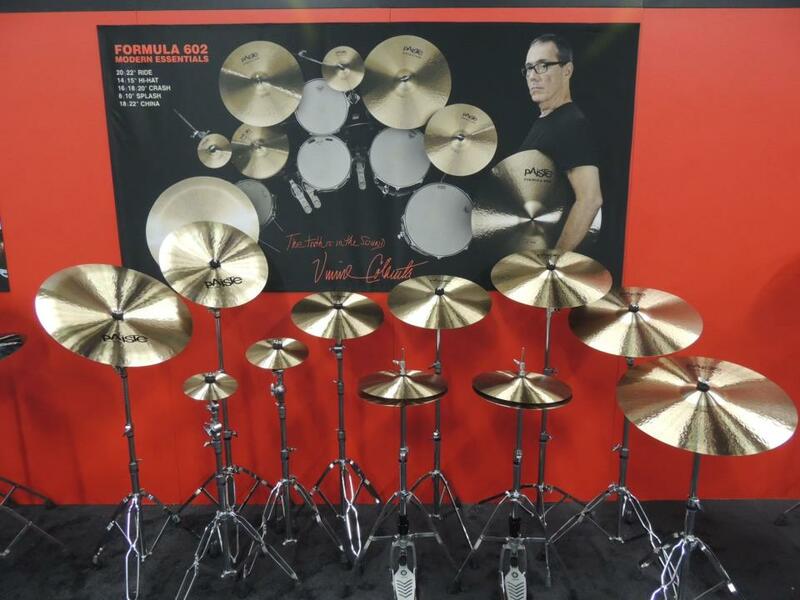 These cymbals were specifically designed for the legendary Vinnie Colaiuta (a former Zildjian endorser who recently switched to Paiste, a really big deal in itself). Apparently the Modern 602’s are darker and washier than the standard 602 reissues, which is exactly what I want. 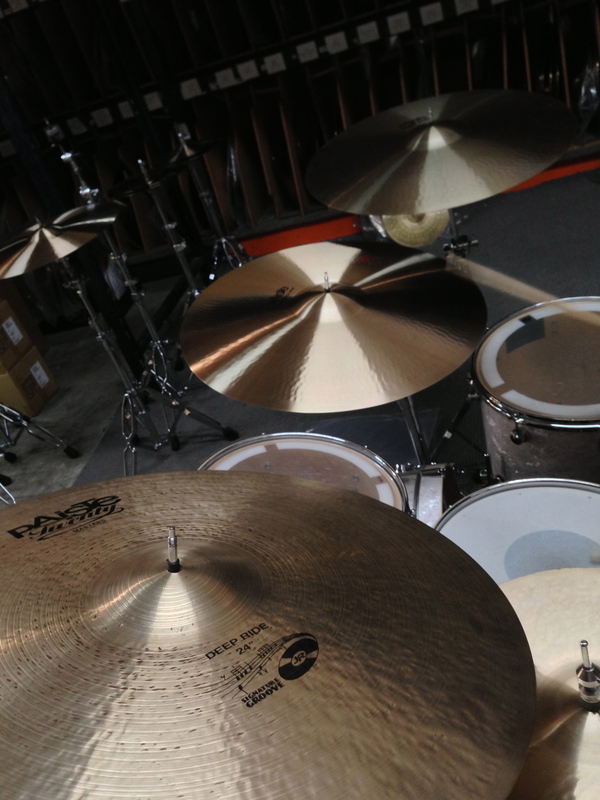 Look for a set of 16″ crashes (as hats) and a 22″ ride appearing in my rig shortly. 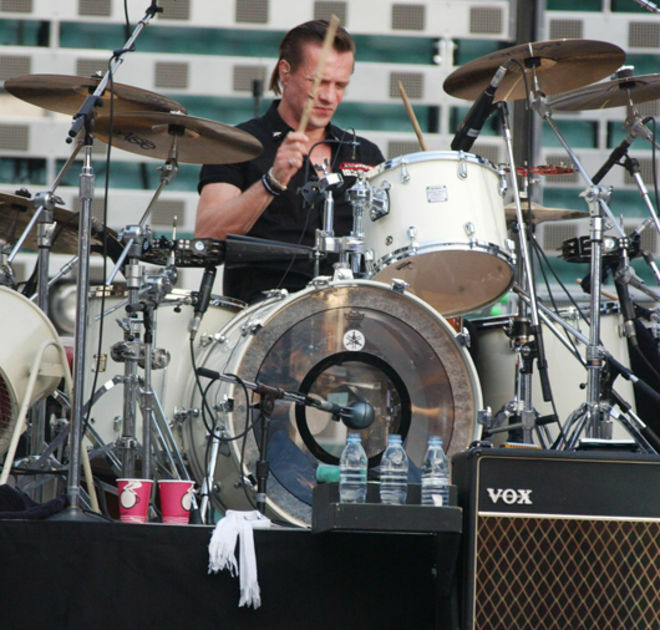 October 31st, commonly known as Halloween, and not-as-commonly known as Reformation Day, also happens to be Larry Mullen’s birthday. Being the drummer for the biggest band in the world, the day as such at least deserves a shout out. But it doesn’t stop there. 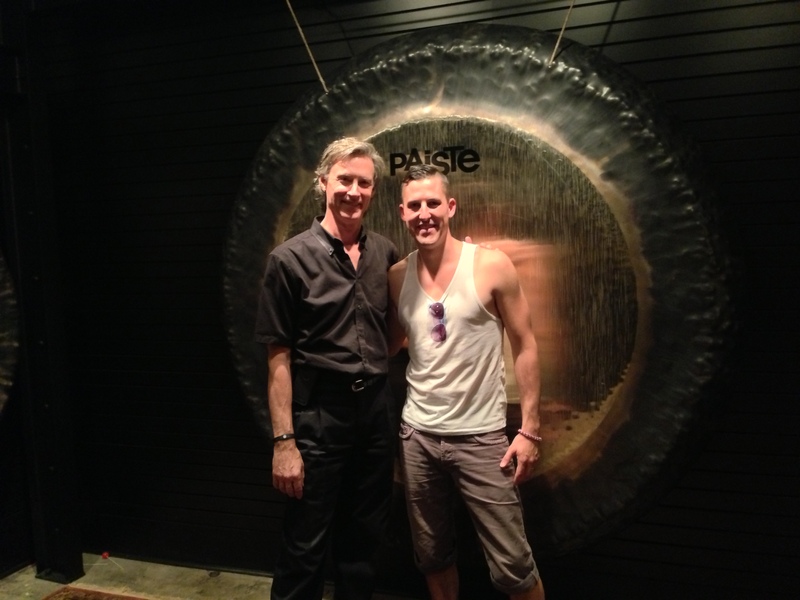 The cymbal company Larry and I both endorse (see what I did there?) also celebrates its birthday on October 31st. Nice.